Books I've Read Recently (& Whether or Not You Should Read Them). | The girl who loved to write about life. Books I've Read Recently (& Whether or Not You Should Read Them). Plot: "The last person Alice Shipley expected to see since arriving in Tangier with her new husband was Lucy Mason. After the accident at Bennington, the two friends—once inseparable roommates—haven’t spoken in over a year. But there Lucy was, trying to make things right and return to their old rhythms. Perhaps Alice should be happy. She has not adjusted to life in Morocco, too afraid to venture out into the bustling medinas and oppressive heat. Lucy—always fearless and independent—helps Alice emerge from her flat and explore the country. My thoughts: It was a creative plot and a beautiful setting...on paper, I should have loved this book. And I really really tried. But it just felt choppy and jumpy and I was trying to hard to keep up with a story that felt like it was just going in circles. Should you read it? Eh. I enjoyed certain aspects of it, but wouldn't recommend it. Plot: "Jess Dunne is third-generation Hollywood, but her star on the boulevard has yet to materialize. Sure, she’s got a Santa Monica address and a working actress roommate, but with her nowhere barista job in a town that acknowledges zeroes only as a dress size, she’s a dead girl walking. Oh! You Pretty Things is a dizzying ride at the carnival of fame, a fast-paced and sharply funny work that dares to imagine what happens when we go over the top in a town of gilded excess." My thoughts: This was a quick, reality-show-feels kind of read, and I loved it. 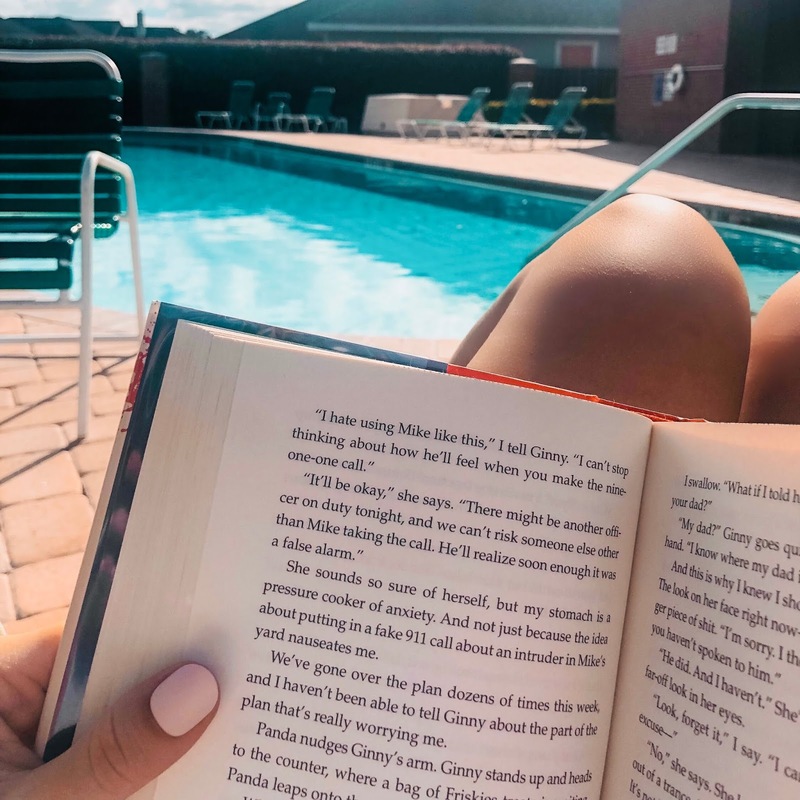 I read it on New Year's Eve by the pool, and it was the perfect pool read. Should you read it? Add it to your list for when you need a mindless beach read! Plot: "There are no more cheerleaders in the town of Sunnybrook. There are no more cheerleaders in Sunnybrook, but that doesn’t mean anyone else is safe." My thoughts: I read someone describe this as "Riverdale meets Veronica Mars" and I honestly couldn't describe it better myself. I flew through it, was caught off guard several times, and overall just really enjoyed it. We all know I love a good YA book and I love a good thriller, so it was fun to find a book that was both. Lifelong Resolutions We Should All Have. Amazon Finds: Wins & Losses. What January is Teaching Me. Three Years a Mom: Happy Birthday, Baby Jack. just write: new year's thoughts.